ONE OWNER, CLEAN CARFAX/NO ACCIDENTS REPORTED, SERVICE RECORDS AVAILABLE, and 2 SETS OF KEYS. What are you waiting for?! What a price for an 08! 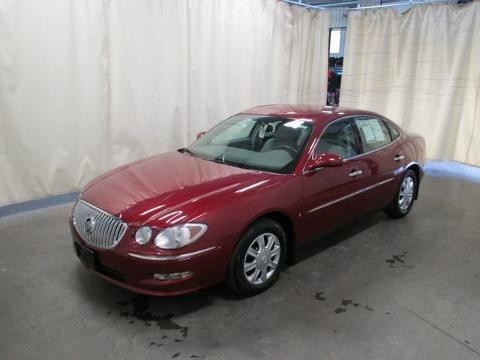 This 2008 LaCrosse is for Buick nuts who are hunting for a wonderful, low-mileage car. It scored the top rating in the IIHS frontal offset test. This LaCrosse is nicely equipped with features such as 2 SETS OF KEYS, CLEAN CARFAX/NO ACCIDENTS REPORTED, ONE OWNER, and SERVICE RECORDS AVAILABLE. It's as fresh an example as you'll find on the market and will still look as good as new for years to come. ALL PREOWNED VEHICLES COME WITH A DAVIDSON 90 DAY LIMITED WARRANTY! SEE DEALER FOR DEATAILS.